Martin Hewings is a senior lecturer in the English for International Students Unit at the University of Birmingham. He mainly teaches English for Academic Purposes, and has also taught courses on ESP, Pronunciation and Discourse Intonation in the various MA programmes run in the Department of English. His particular research interests are academic writing, grammar, pronunciation, and the role of intonation in communication, which was the subject of his PhD. He has taught English for over 25 years in many counties, including Sweden, Italy, Malaysia and Australia. He is the author of Pronunciation Tasks, Pronunciation Plus (with Sharon Goldstein), and Advanced Grammar in Use, all published by Cambridge University Press. He is currently co-editor of the journal English for Specific Purposes. The development of an academic discipline can be traced in the pages of the journals in which its teachers and researchers publish. The year 2001 marked the 21st anniversary of the journal English for Specific Purposes (ESPj), which started its life as the ESP Journal. Although there are of course other outlets for publishing research in the field of ESP, many of these focus either on particular branches (for example, the Journal of Business Communication) or work produced in particular geographical areas (for example, the ESPecialist from Brazil). ESPj is unique as a journal in ESP that it is international in its interests, covers all branches of the subject, and is relatively well-established as a journal in the discipline of applied linguistics. It also had its reputation marked recently by being included in the Social Science Citation Index, which is widely used as an indicator of quality research publication in, for example, US tenure committees and the UK Research Assessment Exercise. Consequently, an exploration of the contributions made to ESPj over its life should provide a fairly representative overview of the growth of ESP over the last two decades around the world. From this investigation we can go on to point to possible future developments. To organise the analysis, I have divided the 20 volumes of ESPj from 1980 to 2001 into four blocks: Volumes 1- 5 from 1980-1986, Volumes 6 10 from 1987 to 91, Volumes 11-15 from 1992 to 96, and Volume 16 20 from 1997 to 2001. Three areas of interest will be analysed: the geographical origin of the papers, the topics focused on, and the literature referred to. A few issues of ESPj have been excluded where it was felt that these would in some way skew the results; for example, the special issue in volume 17 which was a tribute issue marking the 60th birthdays of John Swales and Ann Johns. Figure 1 shows the country of origin of the papers, broken down initially into the percentage from the United States, the United Kingdom and Other Countries. This information does not necessarily indicate nationality of authors but the country where the ESP work reported was conducted. So, for example, an ESP practitioner normally based in the US might be reporting work they undertook in Thailand, andin this case Thailand is taken as the location for the ESP activity. It is clear that there has been a steady increase in the percentage of papers originating from outside the US and the UK. In volumes 1-5 some 40% came from the US, 25% from the UK and other countries provided the remaining 35% or so. In the most recent block, volumes 16-20, the percentages for the US and the UK have approximately halved (to 19% and 12% respectively) and the contribution from other countries has doubled (to about 70%). It is possible that this reflects two main trends: first and most obviously the growth of ESP work around the world; second, the acceptance of ESP as a recognised academic discipline in tertiary institutions in a growing number of countries or at least as a sub-discipline within departments of English, applied linguistics or education and therefore a legitimate subject for research. The Other Countries category can be broken down to identify the main sites of ESP activity around the world outside the US and UK. This is shown in Figure 2. Between Volumes 1-5 and 6-10 the most notable increases were in Europe, Africa (notably Nigerian) and the Rest of Asia (notably Singapore). The major shift, however, appeared to come in the second decade with a substantial increase in the number of papers from Central and South America and from China and Hong Kong. In the first ten years there were 6 papers from Central and South America and 24 in the second, and in the first decade only 2 from China and Hong Kong but 28 in the second.One of the main sites of ESP activity (particularly in English for Science and Technology (EST) in its early life was the Near East (Saudi Arabia, Iran, Oman, etc.) and although there has been a steady flow of papers from this area, there seems to have been a relative decline in activity in this region. Looking ahead, I would suggest that China and Hong Kong will continue to produce a substantial proportion of published papers, reflecting again both growth in ESP activity and the academic standing of those who research and report it. The second main area of growth is likely to be Europe, particularly eastern Europe where the number of recent conferences on ESP seems to reflect growing interest in the area, and also in Mediterranean countries, particularly Spain, where ESP is becoming a focus of special interest in universities. In the early years of ESPj the majority of authors were male (58% in Vols. 1-5). Female authors took over as majority contributors from Vols. 6- 10, however, and have steadily increased their dominance up to 55% in Volumes 16-20. Whether this is a reflection of the relative proportions of males and females engaged in ESP, or whether it reflects a growth in the number of female academics in universities who have the opportunity to research and write this up, is difficult to tell. Interestingly, this balance towards female writers is not yet reflected in the gender of the main authors cited in papers in ESPj (see section 4 below). For an initial overview of the topics focused on in ESPj, the papers are divided into those dealing with ESP in general - including papers on, for example, evaluation of ESP textbooks, training ESP teachers, and culture and ESP -English for Academic Purposes (EAP) - including papers on English for Science and Technology (EST) and English for Occupational Purposes (EOP). The results are shown in Figure 4. There has been a steady and marked decline in the proportion of papers that look at ESP in general, with a corresponding steady increase in papers on EOP (particularly in business contexts). The most notable change, however, has been the increase in papers dealing with aspects of EAP; so much so that in volumes 16-20 some 80% of papers reported analysis and activity in this area. A number of possible reasons can be suggested for these trends. First, the decline in general ESP, if it might be described in this way, reflects the apparent tendency for ESP to become more specific. So, for example, an approach toassessment of ESP textbooks now has less value to researchers and practitioners than an approach to the evaluation of Business English textbooks or EAP textbooks. Similarly, programmes for training teachers for EAP will look rather different, developing different approaches and skills, from a general ESP teacher training programme. Second, in the main location of ESP research around the world, the universities and other tertiary education institution, the main branch of ESP that is taught is, I suspect, EAP. Teaching, research and writing for publication often go hand in hand, and hence the increase in published papers on EAP. There is a parallel here with the situation in the 1960s and 1970s where EST was probably the branch of ESP most frequently researched because it was the main activity taking place in the home of that research, the universities. While EAP encompasses EST, it is a much broader activity, with so many more academic subjects being studied through the medium of English by non-native speakers of English. A third, related point is that it is EAP rather EOP that has grown significantly at the expense of articles in general ESP. This is surprising given that the main expansion area of ESP over the last few years has been Business English. So far this expansion has not been substantially reflected in the reporting of research that can underpin teaching. It may be, of course, that this research is simply being published elsewhere, and in journals like the Journal of Business Communication papers are found on Business English from an ESP perspective. However, the research base on Business English for ESP is still in its infancy, and one of the reasons for this is that, with a number of notable exceptions, it is only very recently that Business English has started to be taught in universities. Once this happens, research is likely to expand in the same way that EAP has expanded over the last 20 years, and this will be reflected in the pages of ESPj. Indeed, this trend appears to have begun. Figure 5 provides a more detailed breakdown of the topic of papers, with seven main categories identified. These are papers which: (i) analyse written text or spoken discourse; (ii) describe a programme or course or part of a course; (iii) focus on needs analysis or syllabus design; (iv) are concerned with materials or methods; (v) present an argument or discussion in other words, have no data or material as such to present; (vi) focus on testing; and (vii) deal with teacher training. A fairly small number of other papers do not fit comfortably within this categorisation. Two main changes will be highlighted here. The first is the considerable increase over the period in papers that have text or discourse analysis at their centre. A typical patternin this kind of paper is to report the analysis in the main part of the paper, following this with an account of pedagogical implications for ESP either possible ones, or in the form of a brief account of how what has been found in the text or discourse analysis has been used in a course. The increase in this type of paper seems to reflect two main developments. One is the growing realisation that to provide convincing and effective ESP courses or materials, we need to know a considerable amount about target situations. So, for example, in order to teach business negotiation we need to examine what happens in authentic negotiation (not necessarily involving native speakers, but certainly experienced negotiators); or if we are helping students to write theses, we need to be able to identify the valued characteristics of theses in particular disciplines. The other development is related. Tools and techniques have been developed which allow us to analyse this kind of data in ways so as to provide insights for ESP teaching. Of particular note is work on genre analysis and corpus analysis. The second main change is the relative decline in programme descriptions. In the first few volumes of ESPj there was a high proportion of papers that gave an account of successful programmes or procedures; for example, A made-to-measure ESP course for banking staff, and a course in information structuring for engineering students. More recently there has been a relatively lower proportion of this kind of paper. Optimistically, this might reflect the developing maturity of the discipline; that is, because our courses are improving, we need fewer accounts of successful practice to guide us! However, more realistically, it is more likely to be a further reflection of the increased specialisation of ESP noted above; as ESP becomes more specialised it becomes more difficult to write an account of a particular programme that will be of relevance to a wide part of the readership of the journal. Given that papers presenting text and discourse analysis predominate, the rest of this section will examine these in further detail. To begin, Figure 6 divides these papers into those which analyse writing and those which analyse speech. It is clear that, while analysis of written text has always been the dominant focus, this has become even more marked in recent volumes, with only some 13% of these papers focusing on speech in Volumes 16 20. In looking for an explanation, it is perhaps useful to consider the early days of ESP, and in particular EST. In regions such as Central and South America and the Near East perhaps the most common pattern of ELT programmes was for students to be taught General English, with a focus on speaking and listening, followed by an EST programme focusing on reading English language textbooks and writing academic genres, in preparation for university degrees in EFL settings. Historically, then, the focus has been on the analysis of written text. However, other reasons might be put forward. Swalesian genre analysis has been particularly influential in ESP research, and this approach was initially developed with and has been largely applied to written text. There may also be practical reasons why speech is relatively neglected. Speech is slippery: analysing speech involves collecting and transcribing data, followed by seeking a suitable analytical approach for making sense of often messy natural spoken discourse. Analysing written text, on the other hand, can begin with no greater effort than reaching for a textbook. For corpus work, too, it is normally a much easier matter to obtain computerised written text. However, it is debatable whether the majority of the end use of ESP courses that is, the target situations in which English is to be used is written rather than spoken. Probably in most target situations for EOP programmes including business uses speech predominates, and in many aspects of EAP settings listening to lectures, participating in seminars, giving presentations, conference papers, etc. speech is more important than writing. It may well be, then, that the bias in published research in ESPj towards writing does not reflect the focus of ESP courses, and this is perhaps an area of concern. A further division can be made among text/ discourse analysis focused papers. Some of these analyse professional products; for example, published textbooks and research articles for EAP, or consultations conducted by experienced native English speaking doctors for EOP. Others analyse student products; for example, essays or dissertations for EAP, or class business role plays for EOP. Figure 7 presents a breakdown into these two groups and a third in which there is a comparison between professional and student products. The main underlying motivation for papers on text/discourse analysis is needs analysis, and broadly speaking needs can be established by examining bytargets (the writing and speech that learners are required to produce and understand in specific contexts) or the gap between what the learners are able to do at a particular stage of their studies and what will eventually be required of them. The predominance of papers on professional products suggests a clear focuson the first of these broad categories, with much less emphasis on the current abilities of students or direct comparison between what students and professionals do. Perhaps this is a healthy bias: the results of the analysis of professional products may well have wider generalisability and applicability than findings from the study of a particular group of students. However, it may also be that the tools and frameworks available for the analysis of text and discourse from learners, which maynot be well formed, do not produce answers which lend themselves clearly to the development of ESP courses and teaching materials. The area of applied linguistics which has perhaps studied most carefully what learners say and write, and which has the most developed mechanisms for analysing learner language, is Second Language Acquisition (SLA). Attention has particularly between on grammatical errors within the clause or sentence. In ESP, however, the tendency in course design and teaching materials has been to look beyond the sentence, with genre analysis being particularly influential. Some might consider that it would be valuable to redress this imbalance, with more attention paid to errors (or however we might wish to label discrepancies between student and professional products). There has been a steady increase in the average number of references, from 14.9 per paper in Volumes 1-5 up to 29.2 in Volumes 16-20. A number of reasons can be suggested for this. One is simply that as ESP develops as a discipline, publication in most areas within it has grown, and there is more to refer to in order to contextualise a particular piece of work. Related to this, it seems that ESP has, over the years, drawn more and more from a wider range of disciplines: sociology, psychology, learning theory and rhetoric. Perhaps this is a sign of its maturity. It may also be, of course, that as ESP has become more academically respectable, so has the need to cite more, on the basis that the more references a paper has, the more academic it appears! It is possible to obtain a broad idea of the main influences on ESP by looking at which authors have been cited most frequently, and in Figure 9 the ten most cited authors in each of the four time periods is listed. In calculating this, self-reference is excluded; that is, I have not counted works in reference lists authored or co-authored by the author(s) of the paper. In Volumes 1 to 5 (as was the case for each of the four periods) the author most referred to was John Swales. In this first period, reference was mainly to his work on writing in science and on ESP programmes in the Middle East. References toRonald Mackay are mainly to his book on ESP with Alan Mountford (Mackay and Mountford, 1978), and those to Larry Selinker are both to his work on EST with John Lackstrom, Louis Trimble, and Karl Drobnik,but also to his work on interlanguage. Henry Widdowsons impact on ESP is clear throughout the 21 years of the journal. In this first period reference was mainly to his publications on EST, while later his work on communicative language teaching more generally was influential. John Munbys seminal work on needs analysis (Munby, 1978), published shortly before the start of ESPj, was particularly influential in this first period. 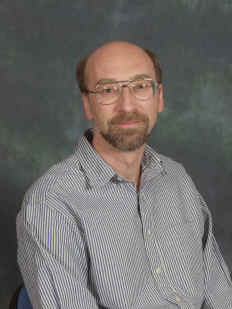 Chris Candlin wrote a number of publications on ESP in general. The writings of Tony Dudley-Evans have been widely referred to throughout the history of ESPj. In this first period, most references were to his publications on team teaching. References to Elaine Tarone were mainly to her co-authored influential paper (Tarone, et al. 1981) on the use of passives in two astrophysics papers. In Volumes 6 to 10 John Swales work on article introductions, which developed into his wider-ranging accountof genre analysis, was of particular significance. Widdowsonstwo books, Teaching Language as Communication (1978), and Learning Purpose and Language Use (1983) were referred to frequently. Selinker, Trimble, and Lackstroms work on EST was clearly still of considerable relevance. Tom Hutchinson and Alan Waters book from 1987 (Hutchinson and Waters, 1987) appears to have taken over from Mackay and Mountford (1978) as the most frequently-referred to general textbook on ESP. A growing interest in reading was reflected in the number of papers on the topic during this period, and Patricia Carrells numerous publications on this area were frequently cited. The impact of Stephen Krashens work on second language acquisition was felt on ESP in this period, as well as in ELT more generally. It is interesting to note the number of references to Michael Halliday increasing during this period. With the growth of text and discourse analysis in ESP, so there was a need to underpin this work with a recognised theory and the influence of systemic functional linguistics (SFL), represented mainly in Hallidays work, has been substantial from this period onwards. The focus on academic writing in Volumes 11 to 15 is apparent, particularly work on genre analysis and its applications in the writing of John Swales and Tony Dudley-Evans. However, most of the references to Greg Myers, Tom Huckin, and Ann Johns are to their studies of academic writing, too. The work of Betty Lou Dubois on spoken conference presentations and Craig Chaudron on classroom interaction are frequently referred to papers on spoken discourse. On the basis of the various aspects of this description of papers ESPj, I would like to end by highlighting a number of trends which I feel will have a continuing influence on how ESP develops over the next decade or so. It seems likely that ESP research and practice will continue to spread geographically, and the present trends of paper submission suggest that reports of work in eastern and Mediterranean Europe, and in China, will represent particular areas of growth. More specific contexts are being analysed, reflecting the increasing specialisation of ESP courses. The rapid growth of courses in Business English around the world is well documented and reflected in the increasing percentage of publications in this area in publishers catalogues, although the growth of research on Business English appears to have lagged behind. However, the growth of Business English courses in universities is likely to demand and feed intoresearch on business communication, and this has begun to be reflected in the pages of ESPj. Three areas of theory and methodology have had a particular influence on the development of ESP, particularly in the last 10 year: genre analysis, corpus analysisand systemic functional linguistics. Their influence shows no sign of waning, and research using their general approaches and analytical techniques seems set to have a continuing impact on ESP. The final point is a matter of speculation with little support provided by the evidence provided in this paper. The growing use of English as the means of communication in interaction between non-native English speakers seems likely to have a major impact on the kinds of ESP programmes we provide and the type of research needed to underpin those programmes. No doubt we will read of these developments in bothforthcoming issues of ESPj and English for Specific Purposes World. Hutchinson, T. and Waters, A. (1987). English for Specific Purposes: A learning-centred approach. Cambridge: Cambridge University Press. Mackay, R. and Mountford, A. (eds.) (1978). English for Specific Purposes. London: Longman. Tarone, E., Dwyer, S., Gillette, S. and Icke, V. (1981). On the use of the passive in two astrophysics journal papers. ESP Journal, 1, 2: 123-140.